Chelsea boss Antonio Conte has revealed his dream striker signing would be Tottenham's Harry Kane. The Italian, who has brought in Alvaro Morata for £58million, was not suggesting the Blues are looking to buy the England striker, but spoke of his admiration for the 23-year-old. 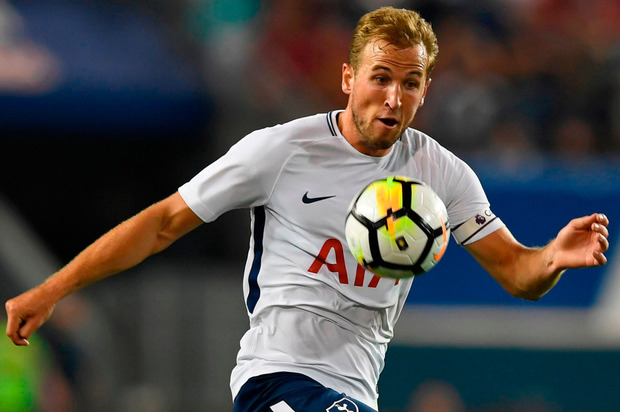 Kane has finished as the Premier League's top goalscorer for the past two seasons, and when answering a question about Tottenham's title ambitions, Conte told several national newspapers: "Tottenham is a really good squad if they are able to keep all the players. "For me, Kane, now, is one of the best strikers in the world. "He's a complete player. He's one of the top strikers in the world. If you go to buy Kane now it would be at least £100m. "At least. For me, if I see this price for a striker I know for sure he's a big striker." Transfer fees continue to increase this summer but Spurs have yet to add any new faces to their squad, with chairman Daniel Levy critical of the amount being spent. However, Conte believes Chelsea's London rivals are not under as much pressure to fight for trophies as the other clubs in the top six, and said: "My question is this: What are Tottenham's expectations? "If they don't win the title, it's not a tragedy. If they don't arrive in the Champions League, it's not a tragedy. "If they go out in the first round of the Champions League, it's not a tragedy. If they go out after the first game that they play in the Europa League and go down against Gent, it's not a tragedy. "Maybe for Chelsea, Arsenal, Manchester City, Manchester United and - I don't know - Liverpool, it is a tragedy. You must understand this. You must understand the status of the team."